An increasing number of research studies are pointing to a wide range of health issues associated with the use and overuse of antibiotics, ranging from the development of treatment-resistant superbugs to developmental issues in children. Now, a new study reveals that the use of certain antibiotics may also contribute to the onset of irritable bowel disease. 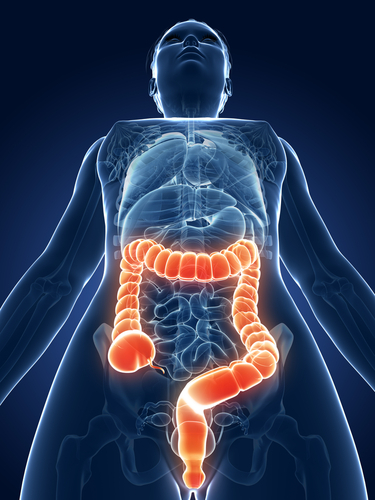 A new association between non-penicillin antibiotics, specifically metronidazole and quinolones, and new-onset Crohn’s disease was revealed at a conference sponsored by the Crohn’s & Colitis Foundation of America. Dr. Ryan Ungaro, of the Icahn School of Medicine at Mount Sinai, New York, led a meta-analysis of 11 studies that encompassed 7,208 patients. All patients had been newly diagnosed with irritable bowel disease (IBD) after exposure to antibiotics: 3,937 had Crohn’s, 3,207 had ulcerative colitis, and the remaining 64 had unclassified IBD. Read more about Crohn’s Disease. According to Dr. Ungaro, “exposure to antibiotics may somehow contribute to alterations in the microbiome and result in dysbiosis, which is known to be part of the pathogenesis that leads to IBD.” However, an alternate hypothesis is that the infection being treated with antibiotics is the true trigger for IBD. An odds ratio (OR) of 1.55 for the overall risk of new-onset IBD after antibiotic treatment was found in all cases dealing with non-penicillin antibiotics. The highest risk (pooled OR of 5.01, p=0.005) came from metronidazole exposure, followed by quinolones (OR of 1.79, p=0.040). The OR of new-onset IBD for children was worse than for adults (1.89 vs. 1.43), especially in the case of new-onset Crohn’s disease (2.7 vs. 1.56). Dr. Ungaro had no relevant disclosures.